Darcy has been here since the end of November and despite dire weather has at least enjoyed being able to move about on the tracks. He was recently out of shoes and was clearly unlevel on the RF both in a straight line and on a circle. This is his better foot, less upright than the right and as you can see he has produced a reasonable amount of hoof growth in his first few weeks and his toe has shortened. He had quite good frogs on day 1 and so there is not a dramatic change in this foot although the frog and heels have broadened slightly. Stupidly I didn't get his right foot from this angle on day one so these comparisons are from 2 weeks ago (above) and today (below). A slightly more functional frog, though it was in reasonable shape to begin with. To me there is an improvement in the hairline over the weeks but he is still not comfortable enough to land heel first on this foot. On the left foot we see a similar picture - again, his landing needs improvement on this foot too though its better than the right. Today I want to post a guest blog - an email from vet Chris Tufnell MRCVS of Coach House Vets which he has allowed me to post here. 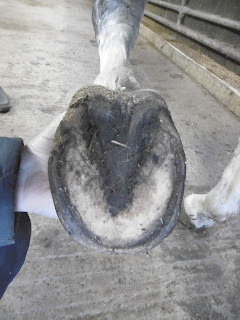 Chris has sent a number of horses here over the years and he is one of a handful of UK vets who is extremely well-versed in how a healthy bare hoof functions. "I'm fascinated that we have ignored the back part of the foot for so long. 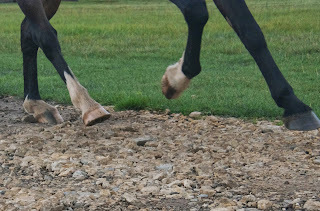 Again and again I see narrow contracted frogs and heels in shod horses with long toes and short shoes. 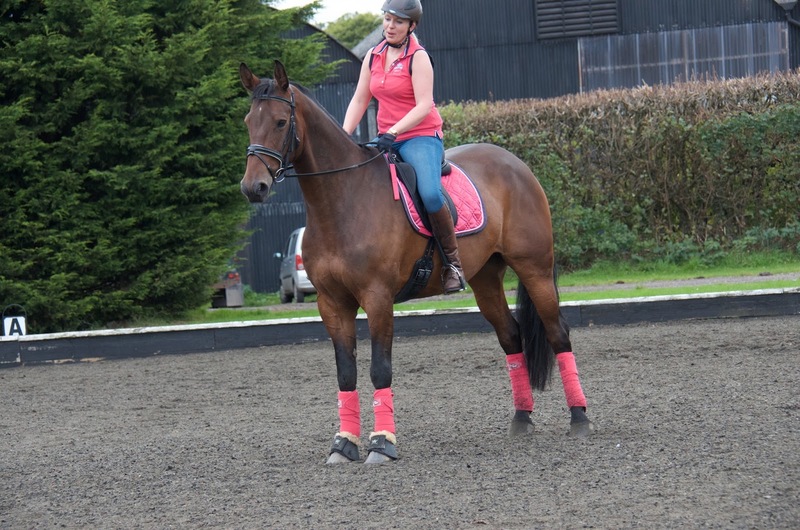 I also see a few horses and ponies that have, delightfully, been left unshod and they have a lovely wide, equilateral triangle shaped frog with strong bars and heels. 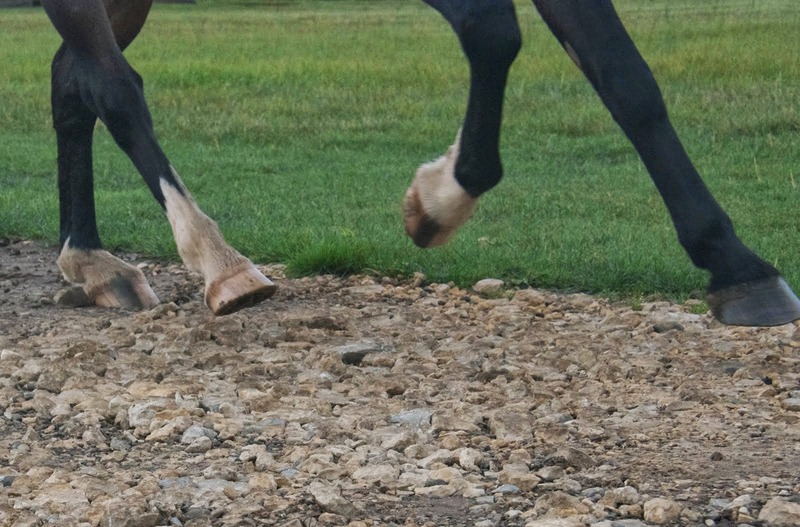 Their frog clefts are much shallower than the shod horses and they are clearly engaging a large portion of the back of their foot when bearing weight. 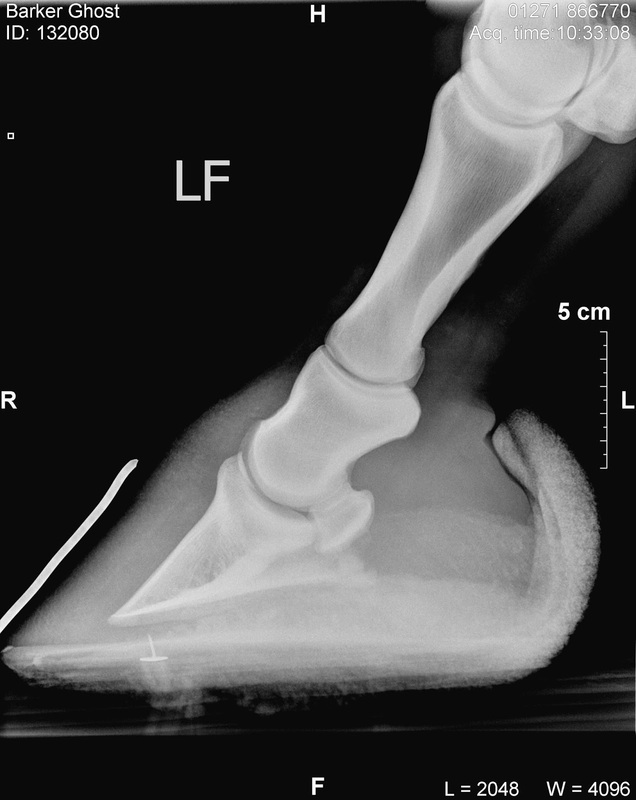 This is not the case with shod horses and it is somewhat inevitable that, when faced by side on xrays showing poor hoof balance, vets and farriers tend to want to extend the shoes out backwards but still disregard the frog and bars. When observing all the 'self-trimmed' horses that have been through Rockley it is refreshing to see that they sort themselves out and don't necessarily deal in symmetry or correct angles but with good function. In a shod horse it is easy to obsess about the hoof/pastern axis when, if they are bare foot, I think it is probably irrelevant. 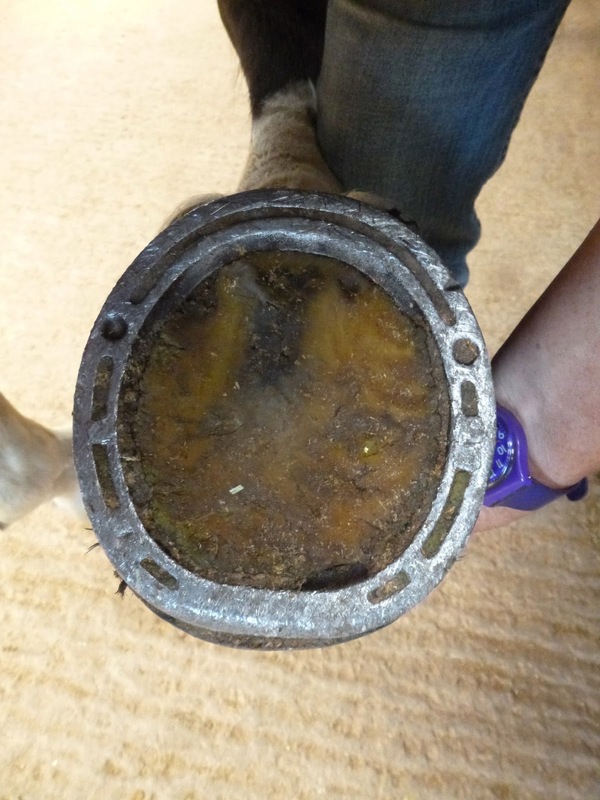 So many barefoot horses have a broken back HPA (although I accept some of these may have developed them when shod) and yet it is what the bottom of the foot is doing that is so much more important. It is worth mentioning though that we all need to go gently on the vets and farriers that espouse shoeing all horses. It is very difficult and goes against human nature to reject long-held belief systems, particularly if they form the basis of your life's work. To those of us who've been enlightened it seems like common sense and we can't understand why they can't see it but the more understanding we are, the more people we are likely to convert. One major missing piece in the puzzle at the moment is scientific evidence. 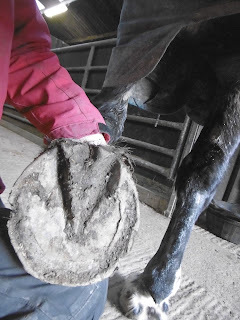 Many people who have seen the benefits of 'self-trimming' (so much better than 'barefoot' which is saddled with negative connotations for so many vets and farriers!) with their own eyes will struggle to appreciate why anecdotal evidence is not acceptable to scientifically minded people. For those that want to understand it better I can recommend 'Bad Science' by Ben Goldacre which explains the scientific method and interpretation of evidence very well. For others I'd suggest that far from being obstructive those that insist on scientific evidence are the most likely to sweep away the old dogma and bring about the paradigm shift that we would all like to see. 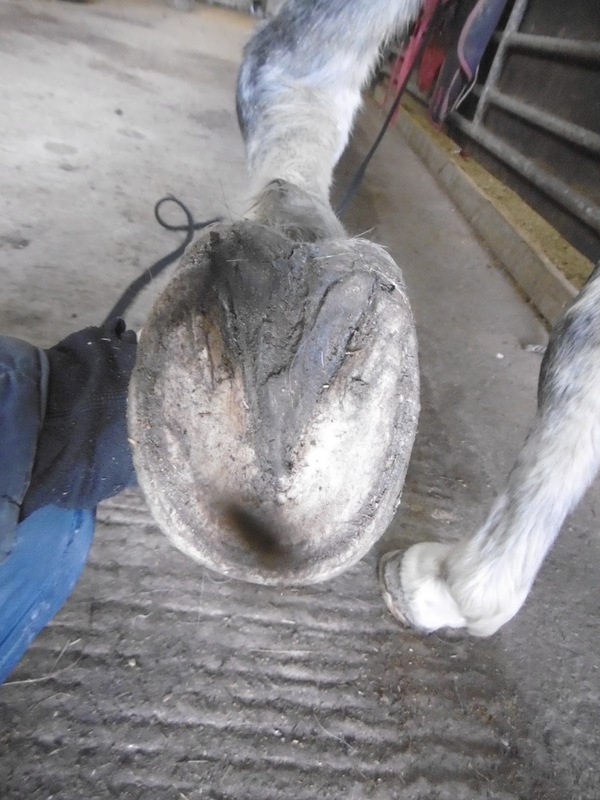 For me it is crucial that not only do we look at horses that have had injuries and are recovering but we look at healthy horses that are either shod or unshod and compare them. 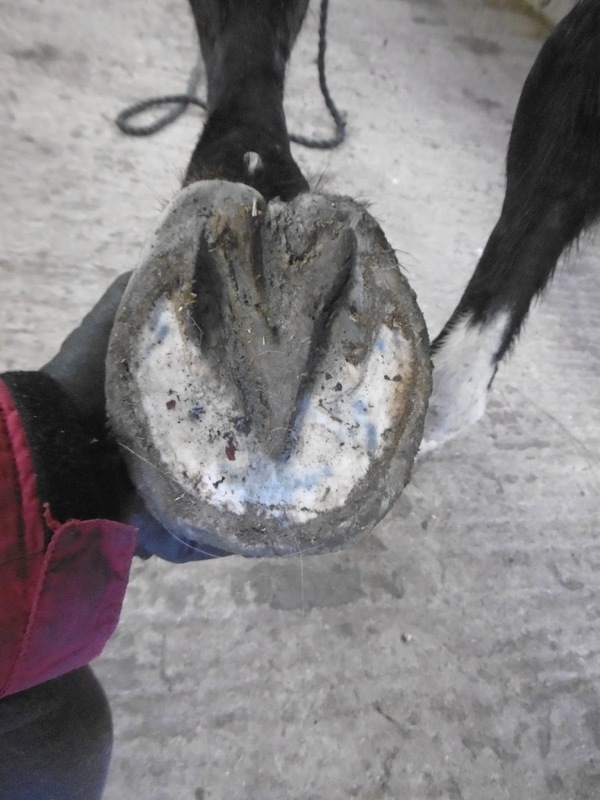 I'd be fascinated to know the difference in forces up through the foot and leg, tendons, bones and ligaments between shod and un-shod horses. My hypothesis is that these are very different and that the problems that shoeing causes extend right through the horse. However we need to do the science to know this. The huge explosion in mobile technology is bringing us very close to being able to do some brilliant science here and we are in exciting times. 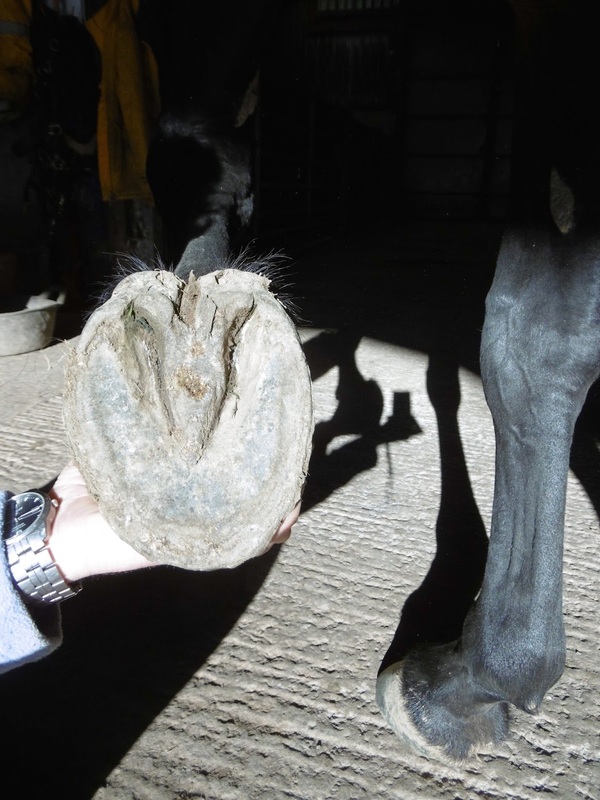 Apart from the conformation of the hoof capsule, the two other areas that need exploration are weight and traction. I'm convinced that shoes, particularly metal corrective ones (bar or heart bars) change the flight of the foot due to the weight they add. This will alter landing and put forces up the leg during flight. 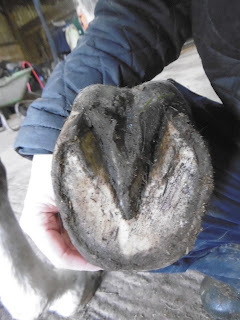 Also, just as I think that it is probably 'unnatural' for our legs to be stopped dead when running on the road in trainers, I'm not convinced that the jarring grip that shoes/road nails/studs provide horses doesn't do damage to the structures in the foot and leg and possibly beyond. Again, studying videos of hoof flight and landing in shod and unshod horses over different surfaces would start to tell us if there was a difference. However that is just scratching the surface and we must be careful not to extrapolate. The work will still need to be done to see if these differences contribute to the problems that we see all too commonly. As you know I'm an convert and do my small bit to try and improve the welfare of the small number of horses and ponies that I see by discussing these things with their owners. But to improve the lot of millions of horses around the world we need to take vets and farriers with us. We need to convert horse shoeing professionals into hoof care professionals." Appropriately enough for the first week of Advent, here are some hooves looking for a new beginning - and they are new to me, too. They belong to an Arab called Mr Darcy who arrived here at the the end of last week and these are his first photos. He is at the moment quite dramatically lame on his RF, less so on his LF and our first job has been to get him off box rest and gently - and calmly - moving on good surfaces. His feet don't look too bad which is a compelling confirmation of the fact that you can't really judge hooves from photos. I could show you lots of uglier feet on sounder horses! However, what is nice is that he has basically good structure to build on which I hope will help in his recovery. Its very early days yet for Darcy but there will be more on him very soon. I wanted to post these because you still can't read about barefoot on the internet without stumbling over trimming - although thankfully people are less invasive than they used to be and many are even beginning to respect the horse's judgment over their own preconceptions, which can only be a good thing. 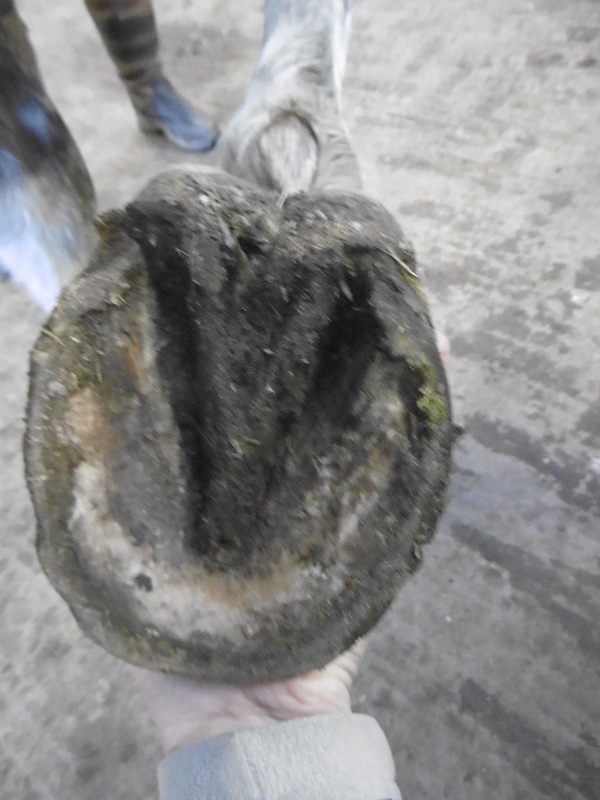 The feet belong to 2 different horses and they have neither of them been trimmed since, I think, 2009 or possibly slightly earlier - so 6 years of no trimming. I'm sure I will get comments but lets see! What do you think of these feet? 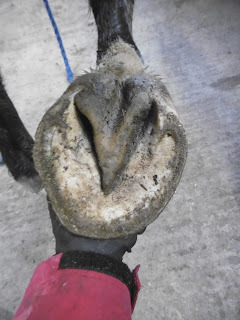 These are the latest feet to arrive at Rockley - a horse who came in shoes when the weather was too bad for decent photos. She has pretty good frogs for a horse straight out of shoes and a reasonably good digital cushion too. 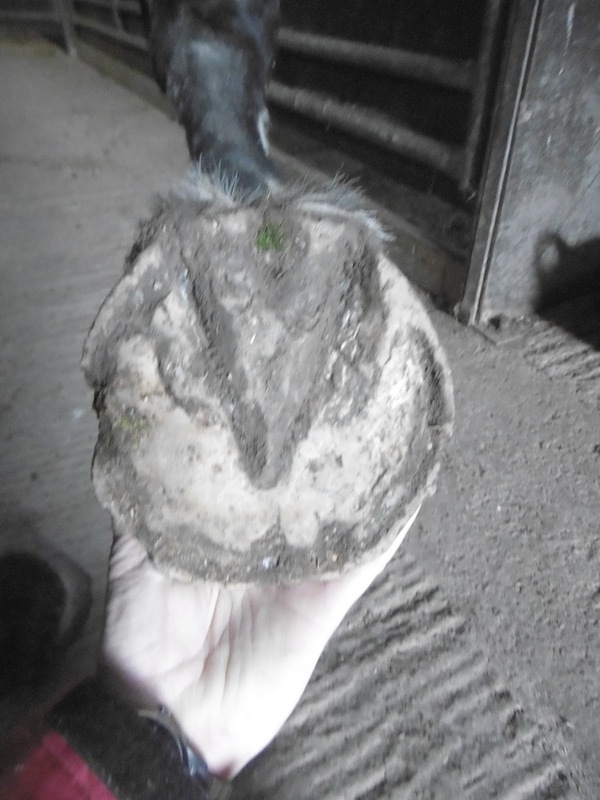 She had an abscess on this foot before she came so its a bit messier than the LF but again lots to like. Andy, Winston and I were away for 3 weeks and got back to find our horses very happy indeed and enjoying a fantastic autumn. There is nothing more boring than other people's holiday photos but its Monday and no-one minds a bit of blue sky and beach, surely?! There was plenty of this sort of thing and its was a perfect way to relax and re-charge and I hope you all had a fantastic October as well. Sadly the gorgeous weather we had when we came home seems to be slowly but surely transforming into more normal weather for November but it was fun while it lasted. Thanks for all the great comments, shares and support on this blog especially over the last few months. I'm going to take a month off during October, partly just for a break but also because Andy and I are having some much-needed time away - and our first holiday for over 10 years(!). I'll be back soon - both at Rockley and on the blog - so in the meantime have a fabulous October and keep working those hooves!